The Autotrader/ Yoshimura/ Suzuki Factory Racing Team announces that two-time 450 Supercross champion Chad Reed will contest the Monster Energy Cup on Saturday, October 13th. Reed will be racing a Suzuki RM-Z450 and vying for the $1 million bonus of winning the richest Supercross race in the sport. Reed contested the Lucas Oil Pro Motocross Championship finale at Ironman Raceway for the team. The 36-year-old holeshot a moto and finished 5-8 for eighth overall and has since spent several weeks testing the Autotrader/ Yoshimura/ Suzuki Factory Racing RM-Z450 at JGRMX’s Supercross track in North Carolina. The Australian is in great form and very comfortable on the Suzuki RM-Z450. This led to the mutual decision between rider and team to contest the Monster Energy Cup. Fourth on the all-time Supercross wins list, with 44 Main Event victories, Reed is eager to make a statement on the hybrid-style Supercross track. 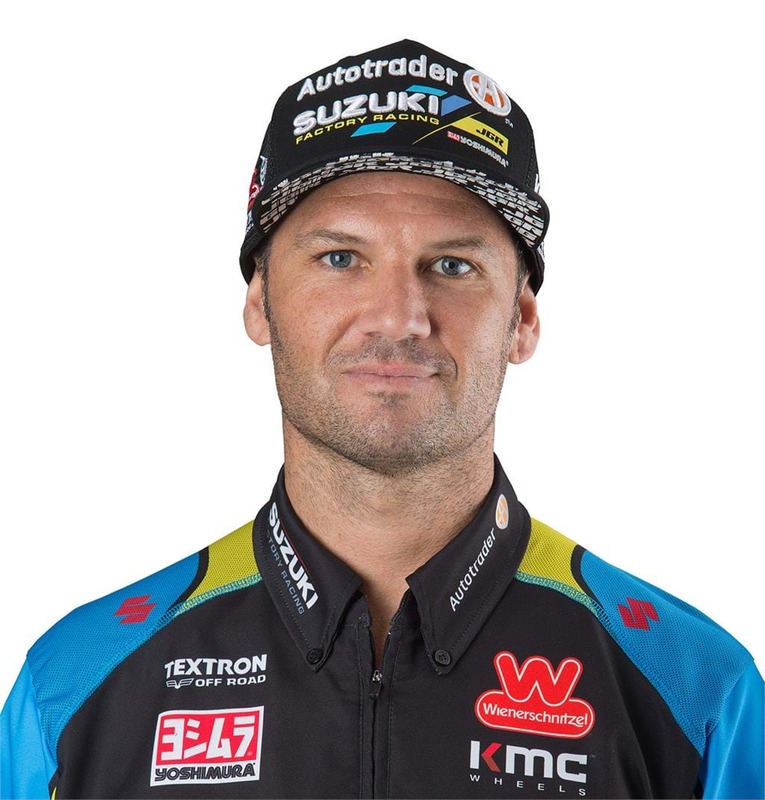 In addition to racing, Reed will be on hand to sign autographs and meet fans at the Suzuki display during the sixth annual AIMExpo, which will be held at Las Vegas’ Mandalay Bay Convention Center. He will be joined by Weston Peick, who recently inked a contract extension with the Autotrader/ Yoshimura/ Suzuki Factory Racing Team for 2019. Reed and Peick’s autograph sessions will be on Thursday, October 11th and Sunday, October 14th from 11:30am – 12:30pm at the Suzuki display. AIMExpo attendees will also be able to take a tour through the Autotrader/ Yoshimura/ Suzuki Factory Racing Team Transport (which will be indoors, adjacent to the Suzuki display) on Thursday, from 10am – 2pm.